HearGlass is designed for pure natural audio for voice and music. HEARGLASS allows you to hear the voices in the conversation. Through the use of our mobile app, you can adjust your HEARGLASS to optimize sound in different environments and conditions. HEARGLASS gives you the tools to manage spaces that are usually too noisy for conversations, or increase volume to hear a quiet voices. Don't miss out. manage your hearing in noisy environments. HEARGLASS makes music sound great again. Through a natural sound system, HEARGLASS does what digital hearing aids can not: provide high fidelity audio to people with hearing loss. HEARGLASS has filed 3 U.S. 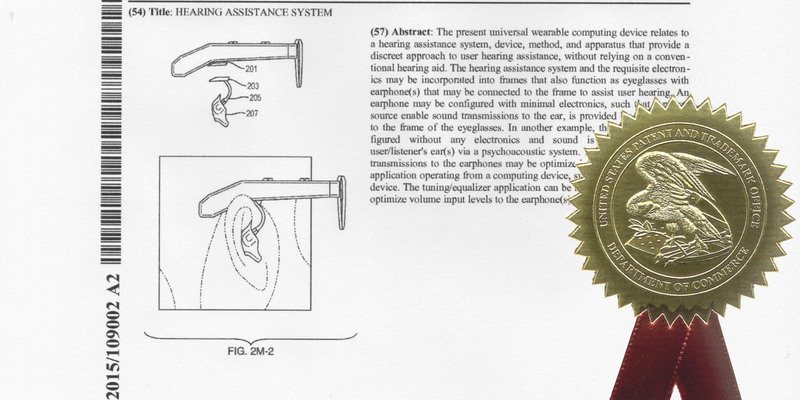 Patents (2 of which have been issued) and has 3 foreign Patents pending for our innovative approach to hearing enhancement. HEARGLASS changes the game – if you love the theater or live music HEARGLASS is the answer to bringing quality, natural sound to your ear.